I began keeping journals when I was 25, when, like a bolt of lightning on a clear day, I discovered I wanted to be a writer. For the next 15 years, my journals were cheap spiral notebooks that never got completed. I might write for a week, and then the next entry wouldn’t happen for three months, and sometimes the journal got lost in the between times. I say lost because I never threw one away, and I think I eventually found most of them. A few years ago, I recopied the scant early journaling pages into one volume. 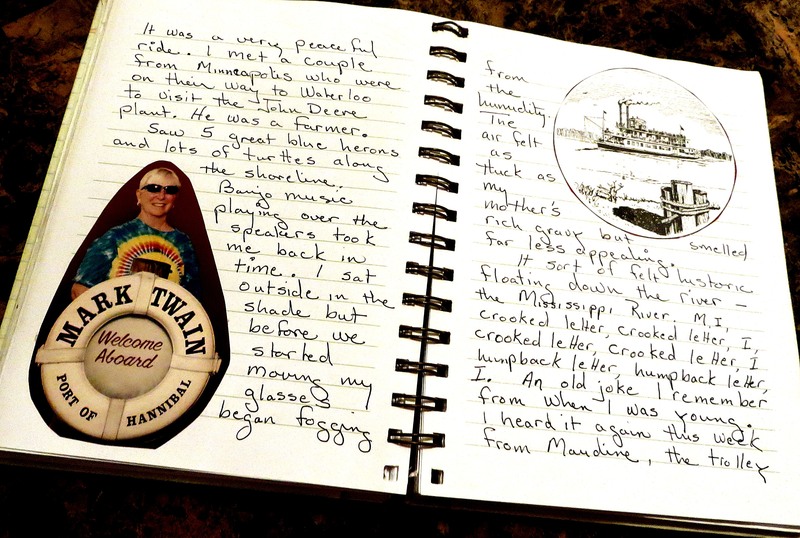 Pages from my journal, written when I was in Hannibal, Missouri, in 2006, and took a paddle boat cruise on the Mississippi River. My first journals were written when I was a working mother of five with no help, and the journal contents were too often filled with my beating up on myself because I never completed a day’s to-do list. What amazed me in the rereading, however, were all the things I did accomplish, and never gave myself credit for doing. Today, I honestly don’t know how I did all I did back then. Around the age of 40, I decided to buy decent journals – one of my favorite being a Gibson that has thick enough paper to write on both sides and a spiral binding for ease in writing. I also began journaling more regularly. As time passed, the journals filled more quickly, until the present when I complete about two a year with a record of my days and thoughts. My journals, even the early ones, are also packed with quotes that have meaning to me. Until recently, I had never read most of my journals, a task that now finds its way on my daily to-do lists. Unlike many of my journal writing friends, who told me they wrote more when times were bad, I’ve discovered that most of my entries are about the good times. While that means there are big gaps, especially in my earlier journals, and makes for an incomplete recording of my life, I’m discovering a treasure trove of memories that are delightful to relive. And the thoughts I did record are enough for me to see how I’ve changed over the years – from a goodie-two-shoes who beat up on herself to an imperfect human who makes mistakes and is not usually sorry for them – and into someone who actually likes herself. 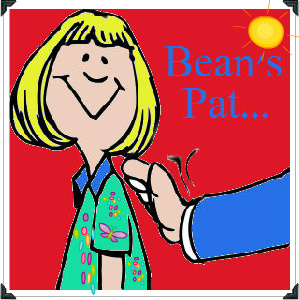 Bean Pat: 10 Forgotten Books http://tinyurl.com/hs5qh7n This dang blog cost me money. As an avid reader of travel books, I had to have The Illustrated Journeys of Celia Fiennes, 1685-c.1712, which was on the list. But thankfully I found one for 97 cents (plus $3.99 shipping) instead of having to buy a new one for the listed price of $59. Must be a great experience to read ones own journals again. Enjoy! I loved my scrappy journals! I started Journaling at 13 and stopped at about 40. My life had started to become predictable and I was writing the same thing over and over. Get up, go to work, go to bed. 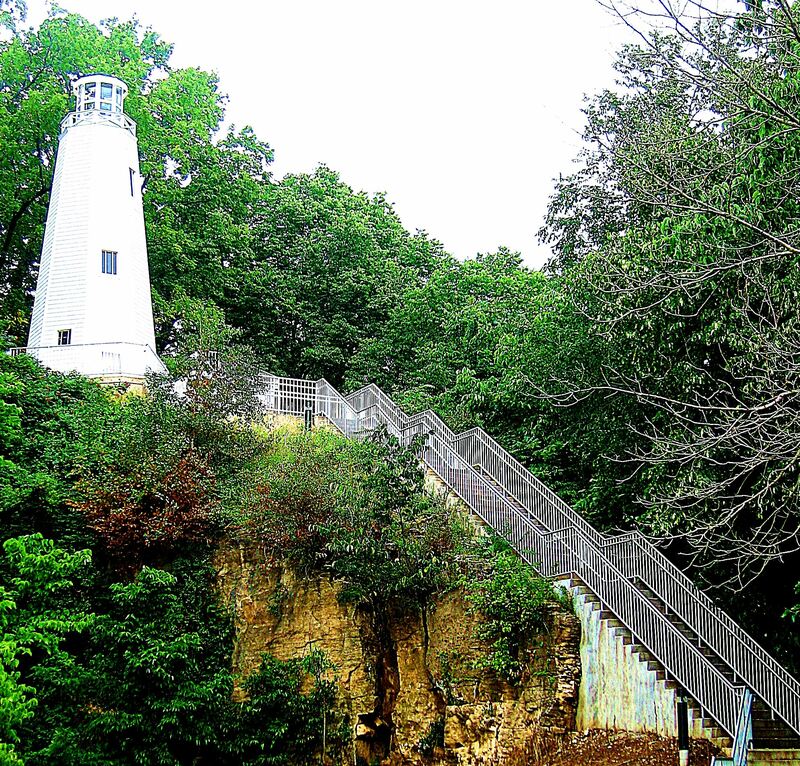 I’ve now started blogging and I really enjoy it as I learn new things every time I write! Yes, re learning things while blogging. It’s one of the reasons I do so. These days I journal about my thoughts and connections my mind makes, much more interesting than writing about the day’s activities, although I do a little of that, too. Thanks for commenting Midwestern girl. Thanks Classy Queeny. I love the sound of your blog name.